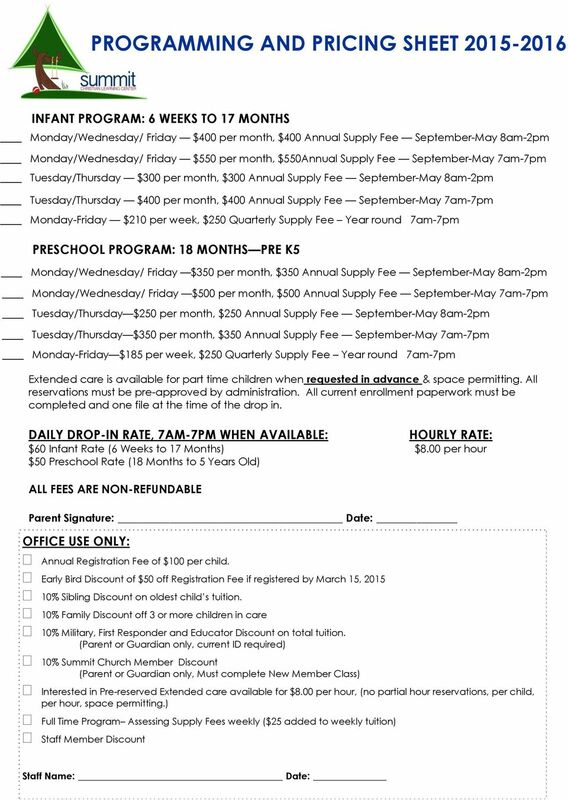 1 PROGRAM REGISTRATION Thank you for considering Summit Christian Learning Center for your Child s Care and Education. 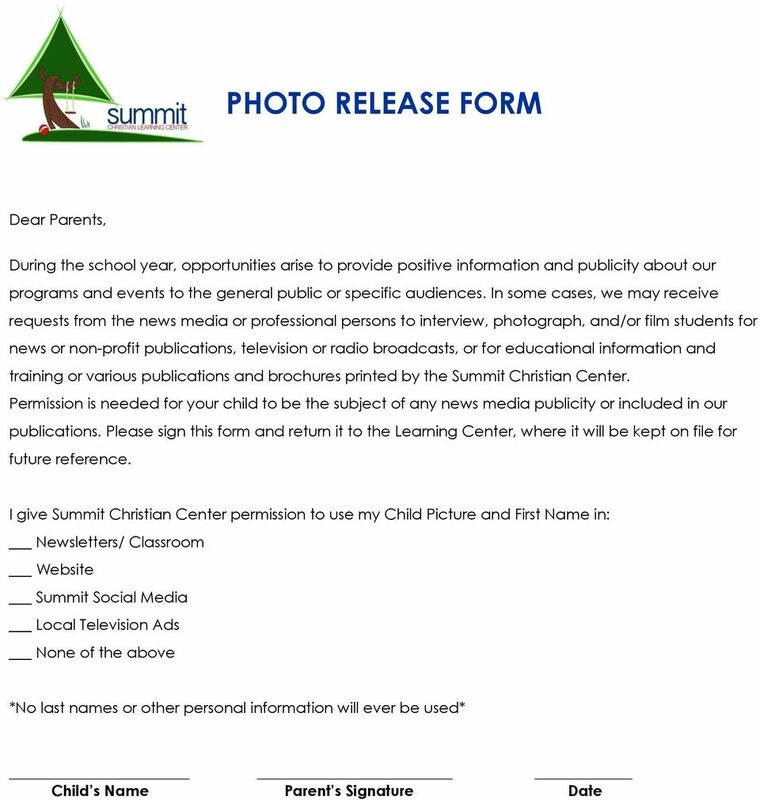 Summit Christian Center s purpose is to connect people with God and others, leading them to become fully devoted followers of Christ, who are expressing His life in their world. This purpose statement is the bedrock of our Children s Ministry and our Learning Center. Our program is designed to nurture young children, to stimulate their spiritual, physical, cognitive, creative development, and to encourage positive self-esteem and social interaction. We serve children ages 6 weeks-pre K. Children are placed in classrooms according to age range and Kindergarten entrance date. 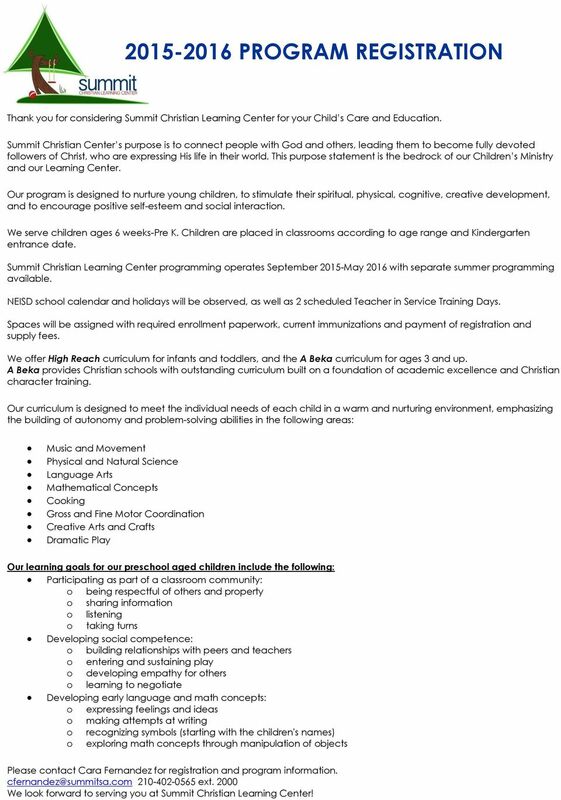 Summit Christian Learning Center programming operates September 2015-May 2016 with separate summer programming available. 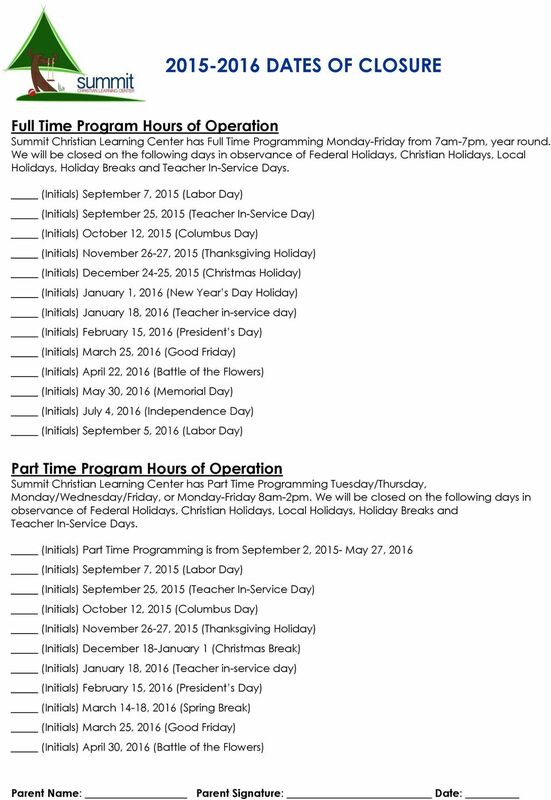 NEISD school calendar and holidays will be observed, as well as 2 scheduled Teacher in Service Training Days. 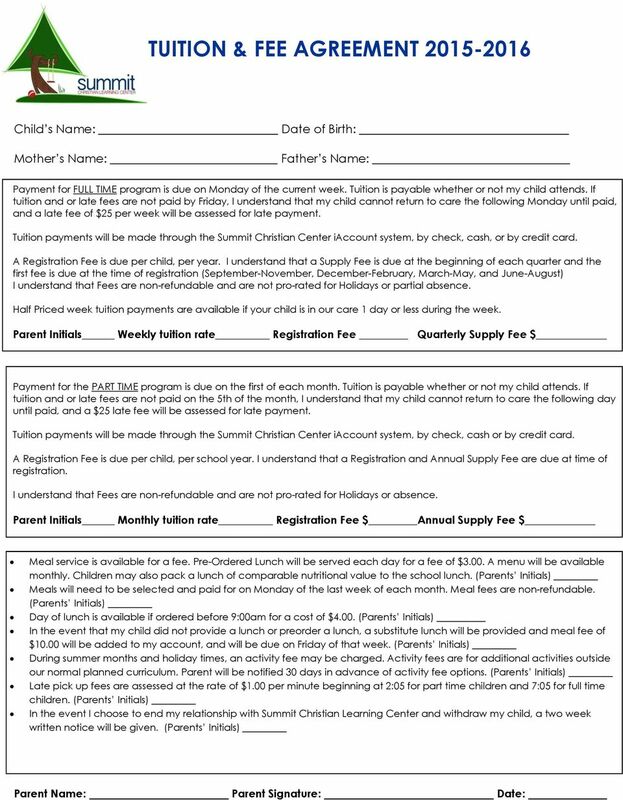 Spaces will be assigned with required enrollment paperwork, current immunizations and payment of registration and supply fees. We offer High Reach curriculum for infants and toddlers, and the A Beka curriculum for ages 3 and up. A Beka provides Christian schools with outstanding curriculum built on a foundation of academic excellence and Christian character training. Our curriculum is designed to meet the individual needs of each child in a warm and nurturing environment, emphasizing the building of autonomy and problem-solving abilities in the following areas: Music and Movement Physical and Natural Science Language Arts Mathematical Concepts Cooking Gross and Fine Motor Coordination Creative Arts and Crafts Dramatic Play Our learning goals for our preschool aged children include the following: Participating as part of a classroom community: o being respectful of others and property o sharing information o listening o taking turns Developing social competence: o building relationships with peers and teachers o entering and sustaining play o developing empathy for others o learning to negotiate Developing early language and math concepts: o expressing feelings and ideas o making attempts at writing o recognizing symbols (starting with the children's names) o exploring math concepts through manipulation of objects Please contact Cara Fernandez for registration and program information ext We look forward to serving you at Summit Christian Learning Center! 9 ALL ABOUT ME! Attach recent photo of child here Childs Name: Age: Eye color: Hair color: Has your child attended school before? If so where? What type of programming? 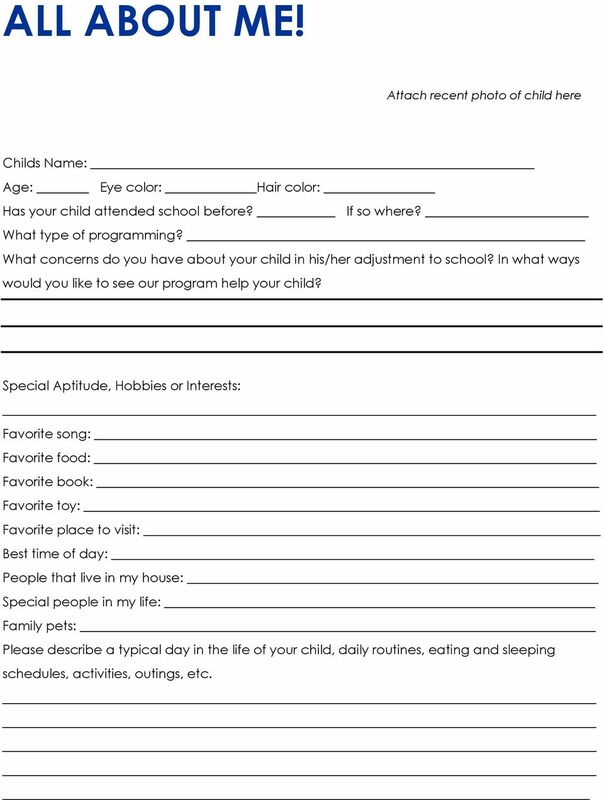 What concerns do you have about your child in his/her adjustment to school? 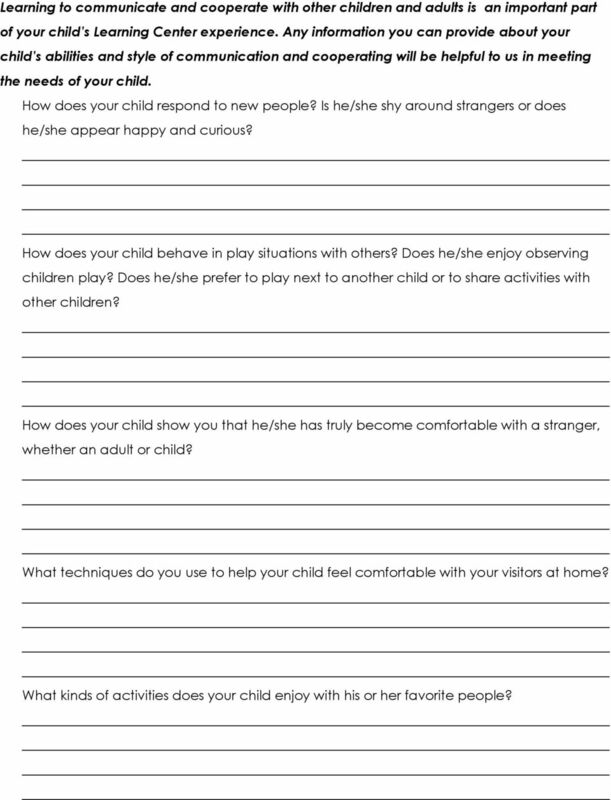 In what ways would you like to see our program help your child? Special Aptitude, Hobbies or Interests: Favorite song: Favorite food: Favorite book: Favorite toy: Favorite place to visit: Best time of day: People that live in my house: Special people in my life: Family pets: Please describe a typical day in the life of your child, daily routines, eating and sleeping schedules, activities, outings, etc. 10 Learning to communicate and cooperate with other children and adults is an important part of your child s Learning Center experience. Any information you can provide about your child s abilities and style of communication and cooperating will be helpful to us in meeting the needs of your child. How does your child respond to new people? Is he/she shy around strangers or does he/she appear happy and curious? How does your child behave in play situations with others? Does he/she enjoy observing children play? Does he/she prefer to play next to another child or to share activities with other children? How does your child show you that he/she has truly become comfortable with a stranger, whether an adult or child? What techniques do you use to help your child feel comfortable with your visitors at home? What kinds of activities does your child enjoy with his or her favorite people? We appreciate your interest in the Child Development Center and look forward to your family joining our family. Dear Parent: We appreciate your interest in the Child Development Center and look forward to your family joining our family. 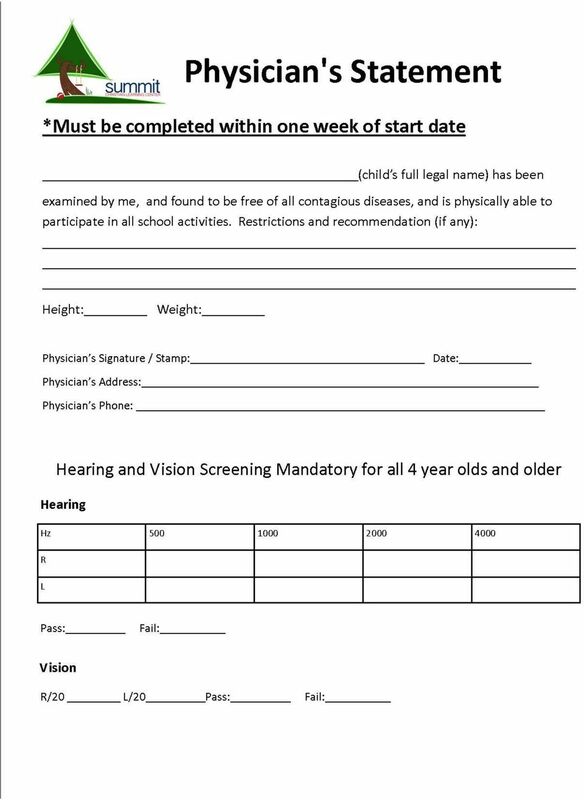 Our application packet is attached. 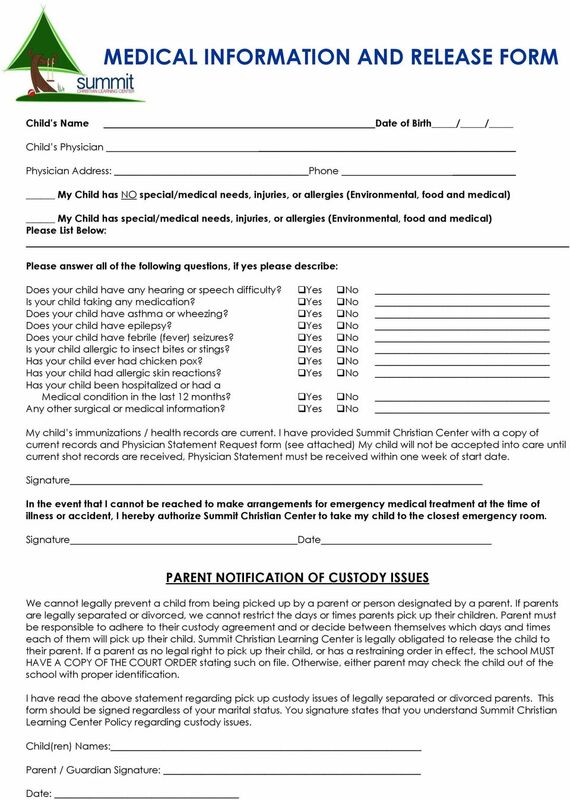 Please remove the "Child's Medical Report"
Mother Stepmother Guardian. Your Child. Father Stepfather Guardian. Parent s Marital Status. Primary Dental Insurance. How Did You Hear About Us? Celebrating Nine years of Ministering to the Heart of a Child in Texas!! Kids College 2015 Conducted at Michigan State University July 6-17, 2015 Weekdays from 8:30 11:30 am Sponsored by: This program is partially funded by a grant from: The W.B. and Candace Thoman Foundation. 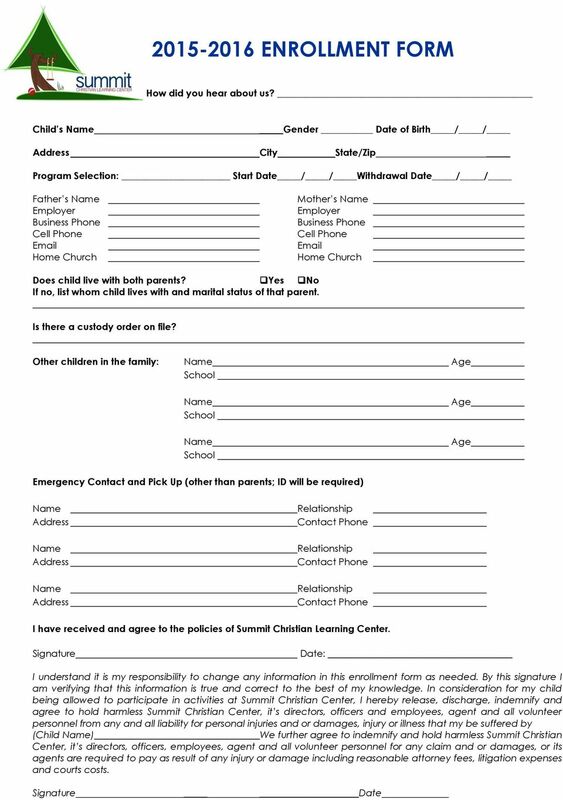 APPLICATION PUYALLUP TRIBE OF INDIANS 3580 E Grandview Ave Tacoma, WA 98404 253-680-5515 office 253-680-5517 fax The following must be attached to this application: o Tribal Identification for the child. Dear Parent: We look forward to meeting you and your child.